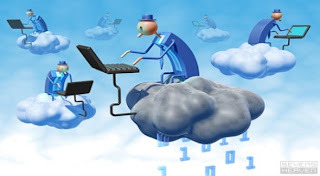 Cloud computing would emerge as the key advance in IT services and applications, says Gartner, the technology research firm, in its forecasts for 2012. The mavens see the cloud, which makes possible the leasing of digitised IT assets and solutions via the internet, as paradigm shifting. It implies transformative change in IT architectures, the development of products and services, and attendant delivery methods and strategies. But the cloud, with its scalability and scope for customisation, subsumes both opportunities and threats, the report stresses. The cloud denotes the next stage in IT outsourcing that makes possible the delivery of industrial-scale IT services. By 2015, the forecast is that low-cost cloud services would 'cannibalise up to 15% of top outsourcing players' revenue'. So, the expert opinion is that the cloud would be disruptive for the $1-trillion global IT services market. How would India's IT majors, who have pioneered the global delivery platform for outsourcing, thrive in the age of the cloud? What differentiates cloud computing from traditional outsourcing and hosting services is its outcome focus and instant consumption model. Hence, the vital need for IT providers to standardise technologies and firm up best practices to deliver IT services as required. The game-changing potential of the cloud is the delivery of specialised IT services that are pervasive and of industrial scale. As the types and range of IT services that can be provided via the cloud are far-reaching, there is much potential for myriad new applications and innovative business models too. In any case, IT has ceased to be a back-office tool to improve process; instead, its potential is rightly seen as transformative at the strategic level. Hence the need for IT providers to offer end-to-end solutions, consulting services and expertise for followthrough. The cloud will definitely demand change in the way Indian IT does business, but is likely to grow and diversify business rather than diminish it, provided Indian IT acquires the domain expertise and consulting skills needed to play meaningfully in the changed game. Type “Let It Snow” on @Google If you click and drag you can wipe the snow away. It is great.